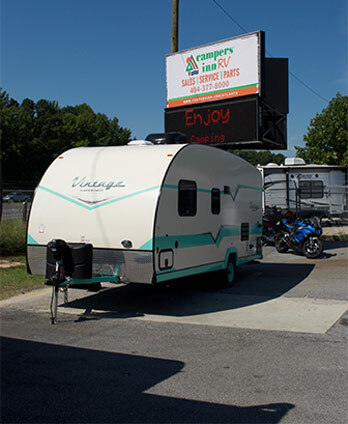 Campers Inn RV of Tucker is proud to serving Atlanta’s camping community. And as the RVer’s Trusted Resource for Georgia, we are here to help you find your dream RV. 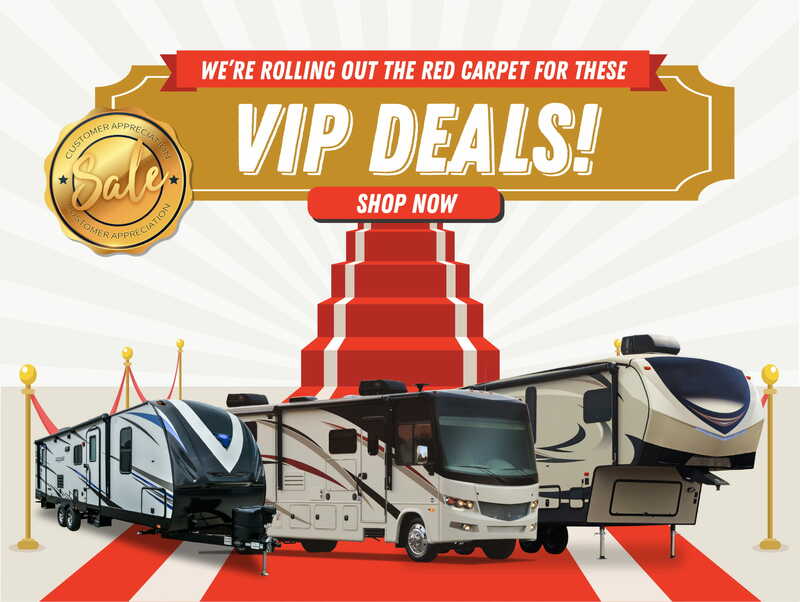 Our 10-acre lot is packed with affordable travel trailers, fifth wheels, pop-up campers, and Class A and Class C motorhomes and our award-winning RV matchmakers will guide you through a no-pressure sale experience to help find the right camper for your budget and lifestyle. If you need repairs or maintenance, we are full service dealership staffed by experienced RVIA-certified technicians. Our Parts and Accessories Store is packed with all the RV and camping products you’ll need whether you are at home or on the road. We are conveniently located off I-78, just a few miles from downtown Atlanta and Stone Mountain Park. Every member of our team is committed to providing you with a five-star experience before and after the sale. We can’t wait to meet you in person! If you have a question or concern you’d like to discuss now, please contact us here! Close out Special ! Call 404 377 8000 for details ! 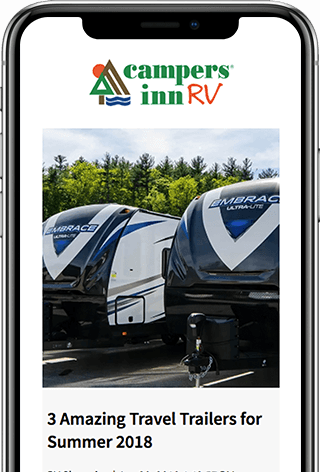 Campers Inn RV of Tucker is a full-service RV dealership with complete service and maintenance capabilities. Our professionally trained, RVDA-RVIA certified technicians take pride in their workmanship and commitment to customer satisfaction. 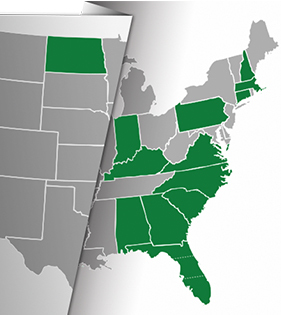 Our fully stocked parts and accessories centers carry over 14,000 products, so you can find everything you need to outfit and maintain your RV. As the RVer’s Trusted Resource, we are dedicated to keeping you on the road and enjoying the RV lifestyle.